This ONLINE Advanced Hypnotherapy Course uses the video footage taken at our ten day intensive classroom course along with additional seminars and lectures to give you a real depth and breadth of very structured and advanced hypnotherapy training. You are required to have a diploma level qualification for entry onto this accredited course. As well as being accredited CPD with the NCH and GHR, you will receive a certification and be able to use the title ‘Advanced Hypnotherapist’ upon working through this course and completing the coursework showing you have achieved the required learning outcomes. The course includes a lot of topics that hypnotherapists know about and understand – but goes into advanced detail and examines advanced applications that can really only be taught once initial diploma level training has been completed. Some parts of the course will refresh and revise existing knowledge and skills, but then firmly update them, advance them and offer a new level of depth and dimension. An advanced hypnotherapy diploma needs to build upon and of course, advance existing skills and knowledge. Whats Included In Advanced Hypnotherapy Course? Whilst we look at the evidence base for the models and examine the academic underpinnings and critiques of these models, we also debate and discuss the value of the academic approach, how it compares to the reality of the therapy room, and what that means for us as hypnotherapists. We learn and place great emphasis on how to convert knowledge and theory into practical applications that are directly useable in our hypnotherapy sessions. We also learn how to make that information available to our clients to help them derive as much benefit as possible from hypnotherapy with you. We build greatly upon the existing understanding of hypnosis and how it is conceptualised. Beyond hypnosis, we learn about specific models of change that can be very relevant and applicable to the hypnotherapist. We examine highly evidence based models as well as models that are very popular among effective and pioneering therapists and we examine how they apply to hypnotherapy. We critique and explore the models of change and how they can be used as an underlying philosophy that guides the hypnotherapist. Importantly, we again learn how to implement these models of change into our practical work in the therapy room to advance our own effectiveness and in turn, the benefits derived by the client. We learn how to use questions therapeutically, how to import questions from a wide variety of disciplines including the fields of coaching, CBT, family therapy, NLP and even explore the fields of philosophy and politics for advanced approaches to questioning techniques, types of questions and how they create change. We also look at how to use questions to establish working alliance and advance the models of change and hypnosis we have explored in detail. We examine a wide number of interventions that require diploma level understanding and draw upon a number of varying fields. We include many techniques used by some of the most prominent and pioneering therapists in the world. This includes approaches and techniques that require humour and provocation as well as specific approaches to language, and then also more standardised, sober, highly evidence based procedures. There are many interventions, strategies and techniques here that will greatly advance the repertoire of any hypnotherapist. We go into depth on dealing with some common specific issues – how to construct a treatment plan, the types of interventions to be used, we examine the evidence base, but also go into depth about how to research it for yourself too. The issues covered include skin disorders, sexual disorders, blushing and numerous others. The knowledge of dealing with these specific issues will be transferable to virtually any other condition cited by your clients. The specific issues have been chosen due to the approach and methodologies employed being applicable to such a broad ranging spectrum of other issues that your clients present in therapy. You are kept abreast of the up-to-date research, the most important recent breakthroughs and the methodologies used. You will also learn about popular methods that hypnotherapists are getting impressive results with that have little evidence, but have featured in the media or are being made popular by leading trainers and pioneers from the fields of NLP, CBT and hypnotherapy. You’ll have techniques explained, new applications revealed and the latest concepts explored from the fields of cognitive psychology, neuroscience, academic hypnosis, CBT and how they can be used by hypnotherapists. On this course, you are given insight into the processes that hypnosis scholars and academics employ, how researchers work and how to critically examine the work of academics in relation to the field of hypnotherapy and hypnotism. We examine myths that pervade the field, we examine how to apply logic but also learn how to challenge academia, become aware of how we accept knowledge and examine the risk of too much personal theorising and investment in singular approaches or stances. We also look at how to examine statistics, how they are used in the field of hypnotherapy and how they can be interpreted in a wide variety of ways. We examine how the media uses statistics and how we can find the best use of statistics to give accurate, impressive and honest information to develop our hypnotherapy businesses and help inform clients and raise their beliefs. We examine research methodologies and the ways hypnosis has been researched, as well as citing some of the flaws in that research, and of course how to access it – and what conclusions we can draw and also how this effects our practical work in real-life terms. We examine a wide range of ethical issues surrounding the field of hypnotherapy and discover how to exact the highest ethical standards possible within our work. We examine the ethics behind a number of popular techniques and approaches, how what we do influences our client’s lives beyond therapy, and we also examine how ethics can challenge us on occasion. We examine in depth the best ways to develop professionally; we examine how to get the very most and best from supervision, reflective practice and CPD. We then go beyond supervision, reflective practice and CPD and look at other ways to develop your skills, enhance your knowledge, and other avenues to develop your business. The kinds of approaches used by the most effective and busy therapists in the world today. You get a manual and lots of handouts as well as being guided towards articles, research papers, and core texts that will help you build and become a fully advanced hypnotherapist. This Advanced Practitioner Level training is accredited with the General Hypnotherapy Standards Council (GHSC) and the General Hypnotherapy Register (GHR) and fulfils their requirements for this award. The Anglo European College of Therapeutic hypnosis is one of very few schools that are approved to offer this qualification in the world today. At the time of publishing this prospectus, there were only 7 schools approved and who met the standards required. This college is currently the only approved provider of the advanced level diploma with the Professional Hypnotherapy Network (PHN). Upon successful completion of coursework and vignettes (hypothetical case studies) you will be able to use the title “Advanced Hypnotherapist” and use the letters “Dip Adv Hyp” after your name. You’ll receive your certification having taken the online course, actively participated in practical exercises and completed the coursework. The coursework is a single questionnaire comprising of 10 essay style questions and 4 hypothetical case studies. I am very proud to announce that we, the Anglo European College of Therapeutic Hypnosis, became one of 5 UK based schools and one of just 7 schools in the world to have our advanced hypnotherapy diploma formally approved by the GHSC (General Hypnotherapy Standards Council). It means that anyone who attends, achieves the expected levels of attainment with the learning outcomes, the coursework and the vignettes will be able to add the title of ‘Advanced Hypnotherapist’ to the list of stuff they already add to their email signature, website bio or business cards. I know, I know “woooo-hooo!” but that is not all…. Some of that may not really appeal, and if you do not wish to wear the full golden cape, you can use a suitable sturdy jacket, tie it around your neck and make it into a cape/cloak that way, then when you arrive at your hypnotherapist’s office, you just have to remember to enter with your fist clenched, your arm outstretched in front of you in an imaginary flying posture. On a slightly more serious note, some hypnotherapists are simply unconcerned about letters and titles, though for those who want them, they do officially exist with the right course. For us here, this recognition is something that we are very proud of because we work incredibly hard to promote high standards in the field of hypnotherapy. Just look at the psychological professions in the mental healthcare fields; psychologists undergo many years of training, studying, researching and practice, psychiatrists attend medical school and then many subsequent years training, researching and studying, mental health nurses undergo many years of training and the vast majority of other talk therapies tend to require more intense, prolonged amounts of study, research, practice in order to work with the general public using their chosen modality of therapy than most hypnotherapists have. Most hypnotherapists have 10 months of training, gain a diploma and then are sent out into the world as a professional. The truth is that the vast majority of hypnotherapists that I meet are struggling to make a living and are ill-equipped to do so. Of course, there are lots of marketing ‘gurus’ and business development experts who claim to have answers, systems, gimmicks that you apply universally, but are often simply attempting to make more money for themselves to supplement their own ailing therapy practice. Those that seek out the answers in this way are often left wanting. My answer has long been that the best way to develop one’s business and professional standing as a hypnotherapist, is to become better at what you do. Of the masses of hypnotherapists that I encounter, many of them have attended courses that did not even match national occupational standards for a minimum number of classroom hours attended, and many are being taught the same perpetuated nonsense, pseudoscience and myth that their teachers spew, who were taught the same and who perpetuate the nonsense without applying any critical thinking skills. The truth is that many hypnotherapists simply are not good enough and their clients do not get long-term benefits from their investment of time and money. When a hypnotherapist is genuinely very good, knowledgeable, skilled with great interpersonal skills, they get better results in their therapy rooms. When they get better results in their therapy rooms, their business flourishes – they get referrals, people talk about their good experiences, and a foundation of success, competence and credibility is forged. Of course, there is more to developing a successful business, but this point I make is key. Hypnotherapists who do not think in those terms are often looking in the wrong direction for answers and solutions. They invest their limited budget on attempting to find the answers in systems, social media marketing, SEO, swish websites, and all sorts of other gimmicks promoted by “gurus” who cannot prove how busy their own therapy rooms are, when instead hypnotherapists should be investing in their single main asset – themselves (their ability as a hypnotherapist). As a hypnotherapist, you offer a service, you offer hypnotherapy, and you are offering that delivered by yourself. You need to be a viable and outstanding option in the eyes of your existing and potential clients. So hypnotherapists read, they research, they learn how to develop themselves in a wide variety of ways and this is important. Being able to apply ourselves in accordance with Stephen Coevy’s “7 Habits of Highly Successful People” and learning how to be productive, and developing your soft skills, sharpening your brain, being fit and healthy; all these things are going to do us good…. Yet so many hypnotherapists get their diploma, then learn EFT in two days, learn to become a Reiki master in a few days, and tack on a number of add-ons they can list on their bios, email signatures and business cards, and assume they never need to train in any more hypnotherapy. They think they have got it nailed. They invested a lot of time and money in that initial diploma training, it does not need to be built upon! That line of thought is exactly why hypnotherapists DO NEED advanced hypnotherapy training. Primarily because they clearly need critical thinking skills. 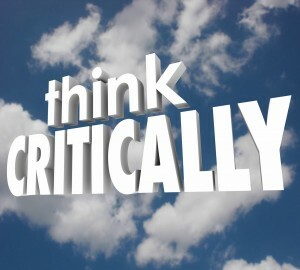 Critical thinking skills equip you to examine the field and become more effective as a result. 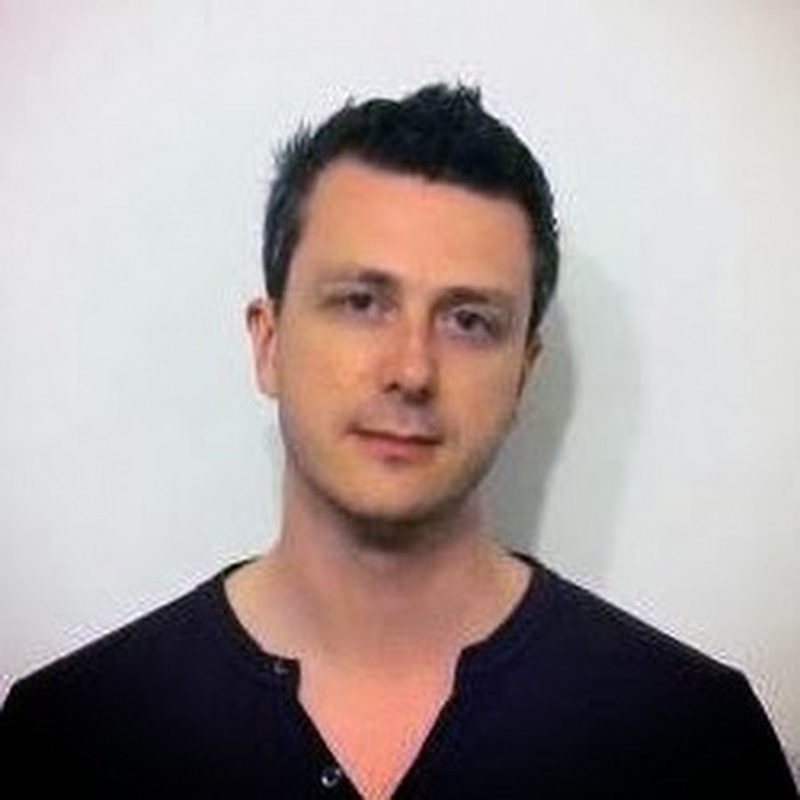 I have heard individuals glibly suggest that much of what I am about to write is purely academic, yet evidence suggests that the client derives more benefit and gain from an in-depth, correct understanding of our subject and will perceive the hypnotherapist as far more credible – when a hypnotherapist is perceived as credible by the client, that perception and belief will also advance the efficacy of the treatment. Being a sophisticated listener and reader: How to critique claims made in hypnotherapy circles, especially on training and by peers. Logical and academic argumentation: How to recognise logical fallacy and how to debate effectively. Academic referencing: How to employ and understand APA, Harvard and Footnote referencing. Levels of analysis and levels of abstraction: How hypnotherapists work at various levels. Challenging received wisdom: A critical examination of much of what is taken for granted in our profession that have not been proven, in order to develop a practitioner’s critical thinking. a) ’rapport is essential for effective therapy’ (although it is pleasant, other professionals help us without rapport, some clients find success despite low rapport and others do not, despite good rapport). b) ‘We should only take on motivated clients’ (isn’t motivation a presenting issue worthy of our attention?). c) ‘A long-standing issue requires longer-term therapy’ (solution-focused therapists take issue with this). d) ‘All hypnosis is self-hypnosis’ (where is the hypnotherapist in this dynamic? Why are we making our influence invisible? A culture increasingly suspicious of power?). e) ‘Your unconscious mind is a wonderful intuitive resource’ (cognitive theories do not generally entertain the concept of the ‘unconscious,’ is there really such a thing?). f) ‘You will always be in control’ (what about falling asleep, spontaneous or induced amnesia for posthypnotic suggestions, being forced to think of something due to questioning, or abreaction? Is it ethical to say this?). g) ‘It’s good for clients to cry and get it out of their system’ (‘catharsis’, ‘abreacting’ or ‘purging’ can make matters worse, retraumatise, cause embarrassment, possibly even waste time. Feeling better afterwards is hardly surprising and not great evidence!). h) ‘Smoking should be a single session formula’ (this is a very common model in hypnotherapy, yet most other presenting issues are more sessions and evidence clearly shows that more sessions for stop smoking results in higher success rate. Why are single session stop smoking programmes so popular?). If I return to my main point here today though, it is that many hypnotherapists do not believe they need advanced hypnotherapy training, so is there truly a need for it? 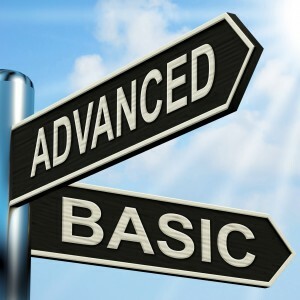 Why do hypnotherapists need an advanced training? What is the point? My belief is that an advanced hypnotherapy training is not just something that is helping the hypnotherapist to be more successful with clients and build a better business, but is also developing the entire field of hypnotherapy and the perception of it. The field of hypnotherapy is very much on the fringe (at best) of therapy and psychological fields still today, and an incessant belief that you have all the training you need with your initial diploma is a popular one, and one that is potentially keeping the field of hypnotherapy on the fringes! Improve standards and service to the public. Engage newly qualified hypnotherapists with quality CPD and to see its value. Invigorate and inform the practice of experienced practitioners. Encourage higher level, academic and critical thinking. Instil the importance of better quality reflective practice. Promote new perspectives, build a diversity of approaches. Properly understand the the evidence base of the field of hypnotherapy. Know the literature well – it underpins our practical skills and advances them in turn. Embed core training concepts by revisiting them in a new light. Patch in important knowledge and skills that initial training may have missed or where understanding is poor. To become a more successful hypnotherapist whose clients derive greater gains and successful benefits. Hypnotherapists are not the only ones who benefit from this, by becoming better at what they do, they get to raise the standards of the field in general terms, this is good for us all because the perception of the public becomes better and rosier and it is better for clients who derive more gain, more professionalism, better results. The raison d’être of an advanced hypnotherapy training programme is to offer the hypnotherapist a clear advancement on the original hypnotherapy training. It needs to be substantive, wholly distinctive and healthily challenging, not simply offering ‘more of the same’ that was taught on an initial diploma course. it provides new knowledge, new skills, new philosophies, new approaches, new techniques and encourages a considered, respectful and healthily critical exploration of hypnotherapy research. To revert to an earlier point, an advanced hypnotherapy diploma course needs to have a good return on investment (ROI). That is, it needs to help the hypnotherapist develop skills, knowledge and abilities that will grow the hypnotherapist’s business in an effective fashion. In order to enrol for this online course, you can call us, email us or go straight and fill in the booking form on this website and we’ll contact you from there. Whichever option to take to get in touch with us, once your payment has been made, you’ll receive an acceptance form with preparatory information to get you ready for the commencement of your studies. Do leave a message if we are not available and we will call you back within one working day.